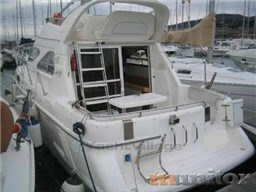 Chargers, Vhf, depth sounder, Electrical windlass, Gps, Flap, Tv Antenna, teak Deck, teak cockpit, Wc, Tv, microwave, kitchen, refrigerator, awning, indoor and outdoor sundecks. 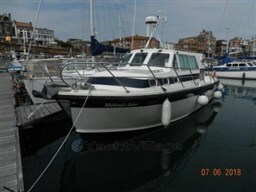 Dear Sirs, I have seen on YachtVillage your offer about Wellcraft Marine 3400 Gran Sport - 1989 (code: 491290). I am interested in the offer and would like you to contact me. Thank you. 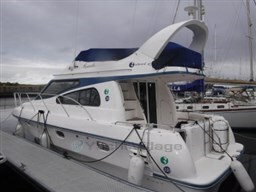 If you would like to find out more about this boat and any other boats of this type and range, Digibusiness Srl,the Company that manages YachtVillage, and Italia Mare, the Company that exhibits the Boat, must necessarily acquire some simple details about you (name, surname, email address and, if needed, your telephone number). These details will be processed according to the purposes and means of the processing indicated in the privacy statement under the PRIVACY Section of this website, referred to herein.